The second edition of the India Football Tour, sponsored by multi-dimensional sportswear brand Zeven, came to an electrifying finale in the city with the Ahmedabad team winning the coveted opportunity to represent India at the F5WC Football World Cup that will be held in September this year at Shanghai, China. Conceptualized by AddRush, a sports management company specializing in events and technology, India Football Tour is the official Indian qualifier tournament for the F5WC world finals. An amateur 5-a-side football tournament, the IFT is played on a smaller field and has few key differences from regular football – for instance, there are no “Off sides", and "Kick Ins” are used instead of “Throw Ins". The objective of the IFT is to provide amateur footballers a chance to compete on a global stage with the opportunity to represent India internationally. 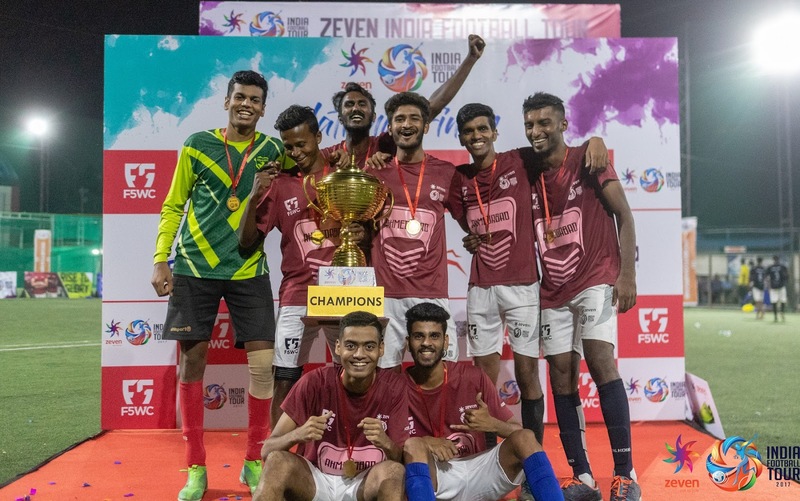 This year, the Zeven India Football Tour travelled to 8 cities to pick the best amateur teams that the country has to offer. The tour started in September 2017in Mumbai and went on to Kolkata, Ahmedabad, Hyderabad, Pune, Bengaluru, Chennai and Kochi. The 8 city champions landed in Bengaluru for the finals, a league and knockout tournament on 11th of May at Active Arena, Marathalli. The Event was watched live on Zeven’s social media platforms. Commenting on the success of the tour, Anshul Vyas, COO, Zeven, said, “We are delighted with the phenomenal response received for the India Football Tour. As football gains prominence in India, IFT is a game-changing platform that fuels greater interest and participation in the sport. As a home-grown brand, at Zeven, we believe in transforming the way sports are played and perceived in India. IFT is one of the most prominent efforts toward this end”. Speaking about the event, Shree Harsha & Kush Bahuguna, Director of Addrush said, “India Football Tour is a tournament that provides a global stage to amateur players. Our vision is to encourage amateur footballers to come out and compete with India’s best. With India Football Tour being broadcasted live this year it will provide the same kind of spotlight that they have seen professional players get."